As one of the most powerful forms of money making today, foreign exchange – or Forex – is a huge industry. It’s a location where people manage to transform their money into profits, and vice versa, in a short space of time. How well someone does on the market tends to be dictated by who they work with and what methods they put their trust in. For this reason, there are many different brokers who all use different methodologies to manage the process and to control how their users profit. 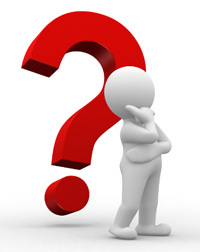 So, with that in mind, who are the best Forex brokers in UK circles? Where can you manage to make the most reliable profit? We’ll take a look at the main benefits of using an online Forex broker as well as try to get a closer, clearer understanding of what this kind of service tends to provide. With this, you should feel more confident not only knowing about the FX industry but eventually making a clear decision about what broker you would like to work with. CFD Global Review 5/5 CySEC* Yes $250 N/A Read Review Trade Now! 24Option Forex Broker Review 4.5/5 CySEC, IFSC Yes £250 N/A Read Review Trade Now! EasyMarkets Forex Broker Review 4.5/5 CySEC Yes $25 $2,000 Read Review Trade Now! XM Forex Review 4/5 FCA, CySEC, ASiC Yes £5 £5,000 Read Review Trade Now! Forex.com 4/5 FCA Yes $50 N/A N/A Trade Now! CityIndex Forex 4/5 FCA Yes £100 N/A N/A Trade Now! FPMarkets Forex 4/5 ASiC Yes $100 100% N/A Trade Now! Markets.com Forex Review 4/5 CySEC, FSCA(CFDs carry risk. 73% lose) Yes $100 N/A Read Review Trade Now! HYCM Forex Review 3.5/5 CySEC, FCA, CIMA, DFSA Yes $100 N/A Read Review Trade Now! Plus500 CFD Broker 3.5/5 FCA, CySEC**(CFD Service. 80.6% lose) Yes £100 N/A N/A Trade Now! Trade.com Forex 3.5/5 CySEC Yes $250 N/A N/A Trade Now! CMTrading Forex Review 3/5 FSCA Yes $250 $2,000 Read Review Trade Now! XTB Forex 3/5 FCA Yes £250 Cashback N/A Trade Now! *Trading CFDs carries considerable risk of capital loss. **Plus500 UK Ltd is authorised and regulated by the Financial Conduct Authority (FRN 509909). 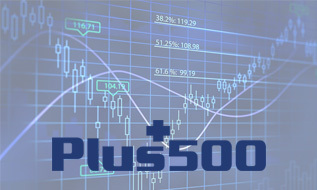 Plus500 CY LTD is authorised and regulated by the Cyprus Securities and Exchange Commission (Licence No. 250/14). While making a decision can be tough work even still, this should provide enough information to inform you and insulate your choice. We’ve created a range of priorities that we look to when trying to determine if a Forex broker is worth recommending or not. This list allows us to understand who we are looking at, what they bring to the table, and how we can best make the use of the service that they offer. When building our consensus, we created a range of strict criteria that we would stick to (see below). This helped us to know if what we were seeing in terms of market response and client feedback tallied with reality. By looking into everything from the kind of methodologies used to the features offered and even the user interface, we’ve broken down the most important aspects in finding the best Forex brokers in the United Kingdom. This should allow for laser-targeted precision on your end, as you try and get to grips with the service and fully appreciate what is on offer. Everything that we mention below should be seen as an important barometer for any Forex broker UK who is worth your time and your investment. However, the challenge with dictating what the best places for Forex delivery is personal choice. Some markets are not suitable for less seasoned FX professionals, while other markets can just be too competitive to make it worth your time. Instead, you can turn to this checklist of options and make sure you are on the right track to picking the right people as soon as you possibly can. The best way to decide and understand the process is quite simple – we are looking at more than just how much people profit when using a system on Forex brokers! What Matters When Choosing Forex Brokers? One of the first things that we want to touch on and make important is what actually matters when choosing top Forex brokers UK. With so many options and reasons for getting involved with a broker, knowing what matters can become a pretty significant challenge as time goes on. So, what is going to be the major determining factors when it comes to finding a team of FX brokers UK that you can feel is going to be worth your time investing with? It all comes down to knowing where you stand on the market, and if that broker suits your particular methods, aims and budgets accordingly. The first thing you should be looking at, then, is the commission side of things. How does the commission and spread work within that particular Forex company? Is it to your liking? Many brokers will charge some kind of commission as part of the overall spread. The main issue, then, is likely to be making sure that you can manage in accordance to their bid and asking price. Don’t be drawn in by a company offering no commissions, though; they tend to make a living on your spreads instead. The wider the spread, the more challenging it is to end up making a profit – keep this in mind when trying to find a reliable broker. Also take a look at the initial deposit that you need to invest. When starting out with a Forex group you want to know that what they are offering you is of value. If they want a large initial deposit, you should keep looking unless you feel 100% confident it’s a good fit for you. The minimum tends to be around $50, and many will offer some form of micro account as well to help you make the right decisions. Finances, given we are playing with a financial industry, should always be the first and last consideration that you have when it comes to maximizing profits. So, to help you understand better what a good Forex company should be offering you, here is a checklist. If you find that the site you are looking at cannot meet the following criteria, you would do well to keep looking. These are the vital factors that turn a decent FX group from being reliable and effective to being a bit more troublesome to use and feel confident when you’re actually doing so. Security. How good is the security aspect of the site? We’ve went into this in more detail below but still, make a point of checking it out. Security should be meaning that it adheres to all FCA and PRA laws if you are using a FX trader in the UK. Cost. As mentioned above, cost matters – a lot. Don’t sign up unless you know the spreads and commissions are of a fair value for you. Also, pay attention to the rates provided and the initial investment needed to get started. Cash Management. How easy is it to get cash in? What about out? How do you find the management of the cash on a Forex site? It should always be of a high standard and offering as few barriers as possible. That’s your money; don’t let anyone else keep possession of it. Support. Is the customer support any good? It does matter, by the way. Many people disregard support as an important factor right up until they need the support to bail them out when they are in a bind. 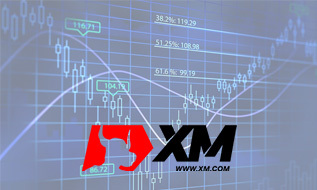 Using the support, you can easily begin to make sure that the team behind the Forex broker can be trusted. So, with all of this in place, do you have a rough idea of what you are looking at? If so, check out our suggestions for the best Forex brokers in the UK. Other than that, one other aspect of choosing a broker that we have yet to mention is perhaps the most important – how does the trading platform itself actually operate? The vast majority of your trading activity will take place on a third-party platform (usually the brokers own specific grouping) so you have to know that the trading platform is of the subsequent standard that you deserve. It must be a stable and reliable option, with a simple interface to work with and a reliable means of communication with support when needed. If you are looking at a broker and think that the user interface seems a bit unfriendly or clunky, then it would be a good idea to keep looking and see how else you can get to grips with this kind of management. If you still find that, even with support, it’s not for you, don’t settle. feeling comfortable when using a system like this is absolutely essential to safe and effective use – if you are all over the place, it will show in your results! Instead, take the time to get used to the way that the site works. 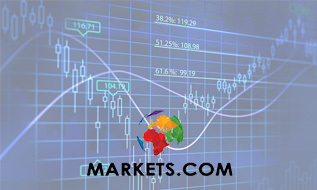 Does it provide up-to-date news and information on the Forex markets? Does it prelude about the biggest stories that are breaking? Can it give you any kind of market insights that others don’t? Be sure to look into these factors. They help to decide whether or not the service is up to the standard that you need. If it lacks things like charting software and additional support tools, too, keep on searching; other brokers and some ECN Forex brokers offer every chance to make your trading career a success. You can also check for the most reliable forex signals that will help you succeed. Deposit Methods – Does it Matter? One factor we touched on briefly was that of deposit methods, and whether or not they even mater. As the means of which you get your money in and out of the account, it obviously helps to know a little more about it and what it can offer you. Deposit methods, then, always matter. It should be a hassle-free process, far easier than it is on platforms such as bookmakers for example. The deposit and withdrawal process of any Forex group worth using is going to be the easiest part of using the site. While you want active and engaged security (see below) it does help to acknowledge that these methods should be as easy to access as possible. They have no real reason to make getting access to your money, both in and out, a challenge. If it feels like it’s an excessive difficulty to get it right, you would do well to look for other solutions. A broker is only holding your money to ensure that your trading can be as easy as it can be. So there is no genuine reason for you to struggle to get your money out – if you do, make a gentle enquiry with support. The most important element of any Forex broker in the UK is making sure that they adhere to any and all regulation. Safety is paramount; these brokers are holding onto your money, so you need full faith and certainty that they can manage your money in a way that is acceptable for everyone. If you feel even slightly uneasy about the process, you would do well to try and make moves to correct that. Any FX broker that does not give you total, complete confidence in the security of your profits should be put to one side and avoided at all costs immediately. 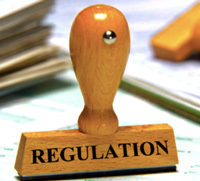 It takes time and patience to get to grips with Forex regulation and safety. However, you at the very least want to know that the trader you are going to be working with is adhering to all laws from the Financial Conduct Authority (FCA) and also the Prudential Regulation Authority (PRA). If you cannot see proof that they follow the laws and demands of both sectors, take a step back. If they list other regulators from other countries rather than their own, they are also best left avoided. Failing to adhere to regulation is an immediate alarm bell to be rung, in truth. With all of this being considered, you should never put your hand in your pocket until you can confirm 100% that this is the case. Get involved starting today with how your Forex business can be improved and strengthened, by making sure that the people who are going to be managing your money can be trusted to still be there in the morning! If they cannot adhere to the above regulatory bodies, then we will never recommend them. However, you should always be vigilant and make sure that any other parties you consider do adhere or you can face some rather challenging consequences. So, with all of this in mind, you can find that life has just got a little easier when it comes to picking the best online Forex brokers UK. With these details now understood you can easily make a more considered choice about who should be the one to benefit from your steps into the market. This can make it much easier for you to begin to see changes and alterations with regards to where your money will be going. 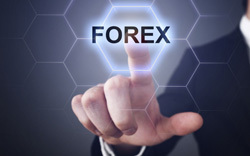 The best uk regulated Forex brokers we can recommend then; you can find here. If you want to know more about the automated trading, then read our article and find alone the best Forex Robot for your needs.